Pastor Mubbi Simon Peter, director of the Cross Emergency Medical Clinic in which I’m working, had been informed that the Karamoja people in northeast Uganda needed a medical outreach. They are a pastoral people related to the Maasai and are mainly cattle herders. In fact, they believe they are the only people who should be in possession of cattle. They have raided regions to the south, stealing all the cattle and contributing to the poverty of the Iteso people who are in the area where I’m living and working. Soil here in the Karamoja region is much drier than that in central or southern Uganda and is not favorable for agriculture. The people are quite poor and now depend on government food supplies which are erratic. Their diet frequently consists of only milk and cattle blood. They live in small huts clustered together in camps. Sanitation is very poor and people are reluctant to use latrines. Flies are present everywhere and cover both the children and older people. The Karamoja region is very remote and the road to Moroto, the district capital, is very rough. It took 4 to 5 hours to travel a little over 100 miles. The medical team ministered to 2 camps on the first visit and 3 camps on the second. We parked the vans under trees and treated over 300 people each time. The most common problems are fever, generalized joint pains, diarrhea, eye irritation, poor vision and skin wounds. The team made several hut calls to people unable to come to the clinic. We treated one elderly lady with a fractured hip, another with severe heart failure, two with severe arthritis, and one young man with advanced liver disease secondary to hepatitis B. We arranged hospital admission for the woman with the fractured hip and obtained medication for the others. Later, my translator shared his thoughts about the hut calls. He told me that when he saw a white person from America coming to visit a poor, black man in his home, asking with concern about his condition and touching him even though he was sick and unclean, he saw the love of Jesus being shown. I’m not writing this to praise myself, but only to report how one Ugandan viewed the work we are doing here. I give God all the glory. We are planning additional visits to Karamoja. A mobile health clinic and regular health education would probably be a better solution to the people’s problems. The team provided food and clothing to the people and shared the Gospel with them. 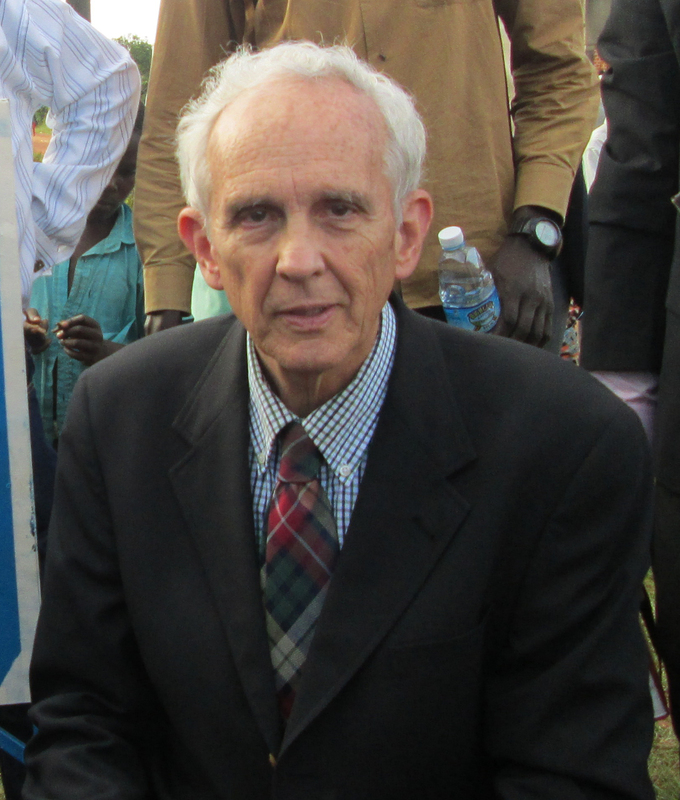 Elderly physician embarks on a new journey in life serving God and the people of Uganda. My goal is to move from living a good life to living a great life. Dr. Bartha, you are an inspiration to us all. We miss you terribly at Hospice Midland, but feel honored to have served with you and know you will continue to contribute to the health of all individuals who are fortunate enough to be under your loving care. Fighting the good fight, always!!! Very impressive man. My wife worked with Doctor Bartha at Hispice of Midland for many years. She always spoke very highly of him. His morals and ethics seemed impeccable. God bless him in his journey. Myself and others at HopsiceMidland miss Dr. Bartha tremendously but wish him the best. He is truly a man that practices what he preaches and I feel very blessed to have known and worked with him. God bless you and keep you safe. Was so thhrilled that you are allowing yourself to be used in Uganda! My thoughts and prayers will be with you! Thank you for being there for me when I needed you! Thank you for your caring, compassion ways! I truly appreciate you and your work at HospiceMidand! May God bless you and keep you safe! What a great adventure, for you and those you meet. I am greatful for your actions on our planet, no matter where you find yourself. LLAP! I worked with Dr Barth a back in the 80’s and 90’s at Midland Memorial. He always operated with integrity and courage. It doesn’t surprise me that he now leads as an example to others. He has always cared about the welfare of all humanity. I hope I can finish my career with as much spirit as he now demonstrates. Dr. Bartha is a great doctor and I was privileged to work with him at Hospice of Midland. He Is very knowledgeable and very compassionate about the care he provides to all his patients and families. I wish him the best in all his future endeavors. Do you have any special prayer requests or needs? God bless and keep his mighty hand on you. You are such an amazing man! The work you’ve done with my mother (Barbara Franco) I will forever be grateful. To see the work you are doing in Uganda is truly humbling. Just wanted to let you know that you are admired! Dr Bartha I am truly proud to say I have worked with you on and off for 30 years! You are doing God’s work and I wish you the best in your journey. I pray for you and your Mission. I miss having you in Midland but happy to see you doing work that surely makes God smile. Will continue to pray for you and all thr work. You are one special gentleman. We are so glad you are realizing your dream. Thank you for being so caring. You are in our prayers. Having worked with you, Dr. Bartha, for years, you are an inspiration to all and always have been. You always work with a smile on your face and love in your heart. I know that God is with you as you care medically and spiritually for the people there. God Speed! Have known you for many years as a man who loves God, as we have seen you follow His teachings whenever you have taken care of patients. You are His good and faithful servant. God bless you with good health and His protection. God works through willing vessels and you are surely one. May every thing your hands do prosper. So proud of you my church and I will be praying for you and Uganda Dr. Bartha God be with you all. I was interested in seeing where God has lead you. Keep posting. May God continue to lead the direction of your path in Life. The information presented on this website is only for entertainment and informational purpose, and it is not be construed as medical advise, diagnosis or treatment. © The Formula Vita, . Unauthorized use and/or duplication of this material without express and written permission from this blog’s author and/or owner is strictly prohibited. Excerpts, photos and links may be used, provided that full and clear credit is given to the author, photographer and The Formula Vita with appropriate and specific direction to the original content.